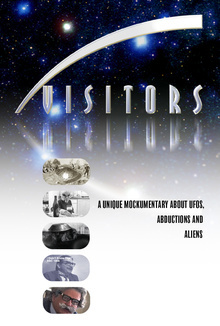 VISITORS presents a host of offbeat characters who give brevity and authentication to a variety of never-before-told stories surrounding the UFO/alien genre. 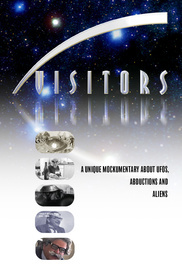 VISITORS (2003), is a witty and unique mockumentary parodying the subject of UFOs, E.T.’s and abductions. It explores some never-before-told, bizarre and historical, extraterrestrial moments. Each story is embellished with pseudo-artifacts, uncanny footage and realistic graphics, with a dash of eccentric characters. How a Confederate infantry during the American Civil War discovered a downed, flying saucer at Grizzle Turkey Ridge, which today is a subdivision.